There were news and hype about Hosakerehalli flyover along the Outer ring road from Mysore Junction to Central Silk Board Junction. It was said that it will be declared open for public use, and today (Saturday) it got inaugurated giving a sigh of relief to the commuters of Bengaluru. This 300-metre-long flyover falls under the signal-free corridor from Silk Board Junction to Mysuru Road near Nayandahalli. The project is undertaken under the chief minister’s Nagarotthama scheme and the budget allocated estimates to Rs.17.82 crore. Having been assigned the work to M Venkat Rao Infra Project by Bengaluru Mahanagara Palike, the flyover project was in talks due to the delay caused. It was started in September 2015 and as per the plan, was supposed to be completed by March 1, 2016. Hosakerahalli Flyover along the outer ring road is 7.5 meters wide and width of the slip roads is about 16.5 meter. It covers the total area of about 122.38 sq mt. The flyover was in the news as Motorist flouts rules at Hosakerehalli cross, thus labeling it as the danger zone. However, it is now declared to be open for Public use giving a big sigh of relief to the residents. Get the Best of Metrosaga delivered to your inbox. 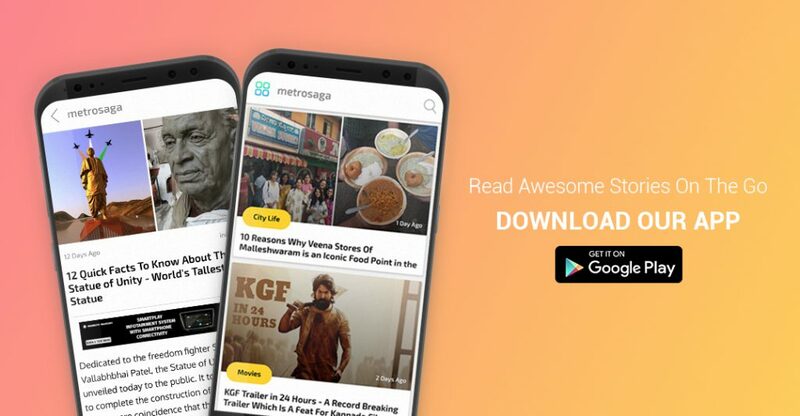 Subscribe to Metrosaga and never miss an update from us.